Learn to paint landscapes in the most direct way possible using alla prima techniques developed by Sargent, Sorolla, and Zorn. Learn how to rapidly sketch, paint, and yes, even photograph on location to capture the fleeting effects of light and atmosphere for a larger, more developed painting in the studio. In the field, Thomas will present demonstrations that focus on how to simplify what you see, how to compose on the fly, and how to harmonize your color. In the studio, Thomas will show you how to construct a larger, more developed painting from your field work. You can expect to have fun during this workshop and learn much about painting as you do! DAY 4 – You will work on a larger painting in the CVA studio with Thomas’ assistance. Please bring a digital camera to class on Day 1 and 2 to shoot references in the field. Your camera may be a late model smartphone or a stand alone shooter, whatever device you prefer. For Day 3 and 4, please bring a laptop or tablet to reference your digital shots as you paint. Or, you can arrange to have Carmel Visual Arts print out high quality paper copies of your photo references for a small additional cost. To read what his students say about Thomas’ workshops, click here. 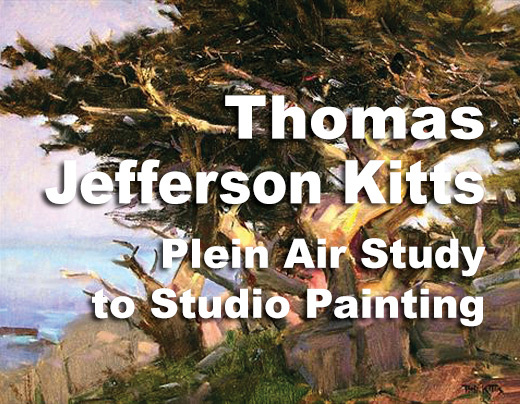 About the instructor: Thomas Jefferson Kitts is a signature member of the Laguna Beach Plein Air Painters Association. He is also a member of the California Art Club, Oil Painters of America, and the American Impressionist Society. He travels extensively and maintains an active and distinguished exhibition history and his work is widely collected throughout North America. 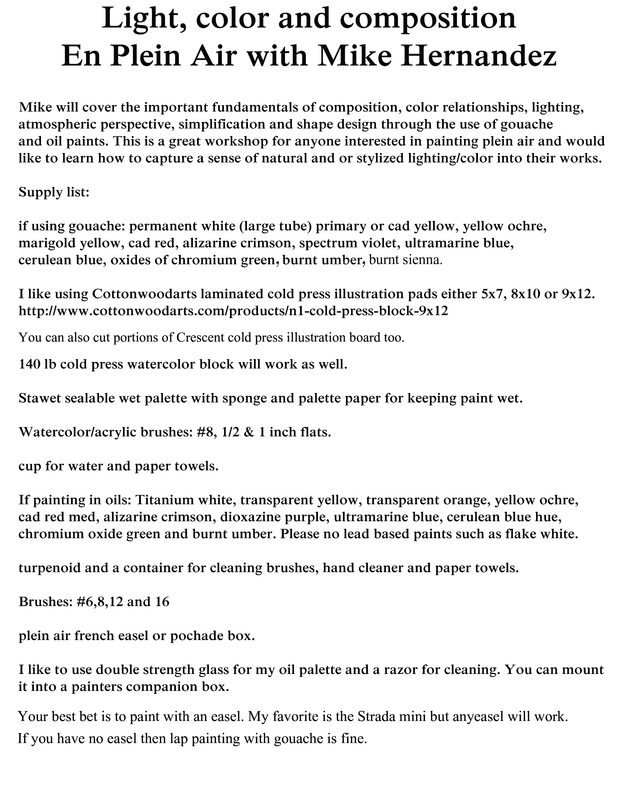 Thomas is a repeat writer/contributor to PleinAir Magazine, OutdoorPainter.com, and PleinAir Today.com and he writes an entertaining and informative blog for the artist and collector. Thomas has recently published the book, Painting the Light, which contains 100 of his works from the past 25 years, with a foreword by Jean Stern, noted art historian and Executive Director of the Irvine Museum. Call Carmel Mission Inn at 800.348.9090 and use discount code “CA” for special rates.